Willy Wonka & the Chocolate Factory may be one of the creepiest children's films of all time, but it also brought to life some truly wondrous fantasies. Specifically, that there could be an actual place where every little thing around you is made of candy you can eat. 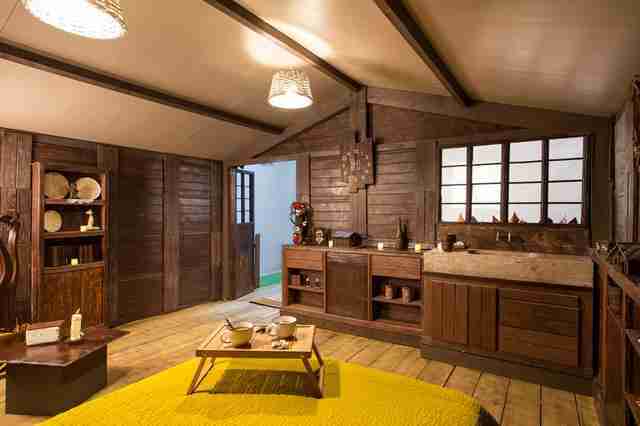 It's a totally bonkers premise, but it's actually not as far-fetched as you may think, because there's actually a cozy new cottage in France made entirely out of edible chocolate, and it costs just $59 a night to stay there. 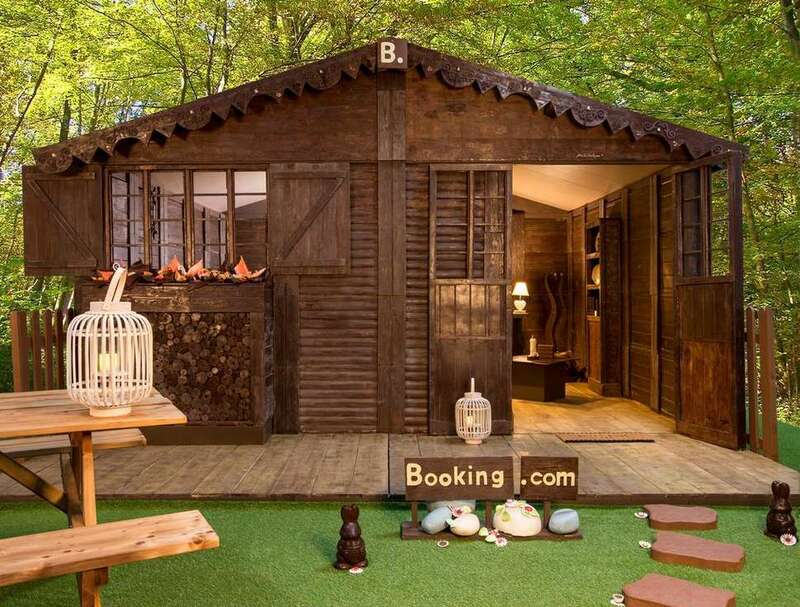 The new cottage comes courtesy of the team at Booking.com, who teamed up with the renowned artisan chocolatier Jean-Luc Decluzeau to build a 190 square-foot house entirely out of chocolate in Sèvres, France, just outside Paris. Considering what it's made of, it's a fairly temporary installation, but a lucky handful of guests will have the chance to stay there next month. The modest one-room abode is actually nestled inside the large L’Orangerie Ephémère glass house in the gardens of the Cité de la Céramique in Sèvres, so it's fully protected from the elements. It was fashioned out of a whopping 1.5 tons of actual chocolate, and can accommodate up to four people. Practically every part of the structure is made of or decked out in some variety of the sweet cocoa concoction, from the walls and roof, to the fireplace, clock, dresser, and even chandelier. The outdoor "flowers" and "duck pond"? Those are made of chocolate, too. And for any sweet-toothed traveler already salivating at the idea, yes, guests are free to chow down on many of the edible details. 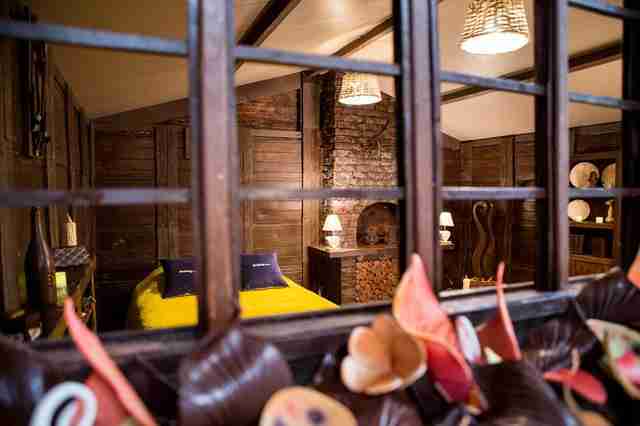 As much you may want to score a stay in an all-chocolate crash pad, doing so won't be so easy. Unfortunately, the cottage will only be open to guests for two nights in October, and one of them has already been reserved. However, Booking.com is opening up reservations for the second night (October 6) via the cottage's dedicated page on September 26 at 5am EST. And while it's likely to go fast, whoever manages to get their name on the books will only have to pay $59 for the privilege. Though even if you miss out on the chance for an all-chocolate slumber party, you may want to consider high-tailing it to Europe anyway, since there are a slew of cheap flights to take advantage of right now.